Here are panels 8, 5, 6, and 7 from the Patterson board featured yesterday. 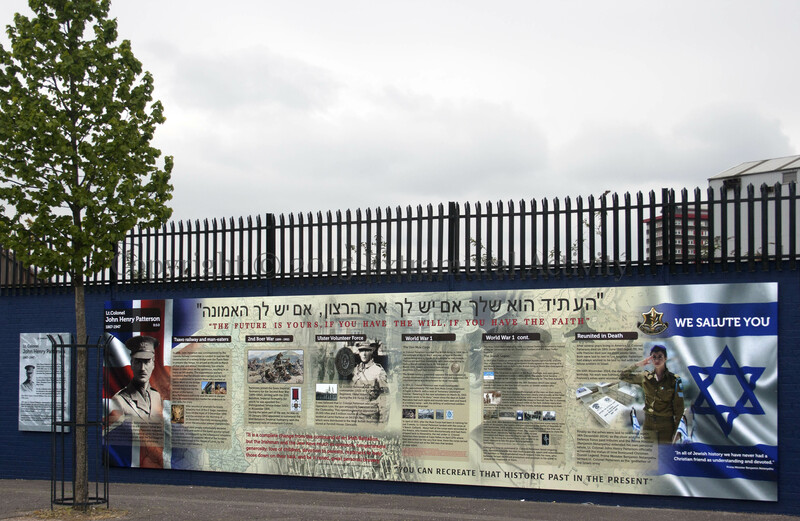 The final panel shows the star of David and a quote from Prime Minister Benjamin Netanyahu: “In all of Jewish history we have never had a Christian friend as understanding and devoted.” The interim panels described Patterson’s raising and leading of the Jewish battalions of the Royal Fusiliers in WWI. 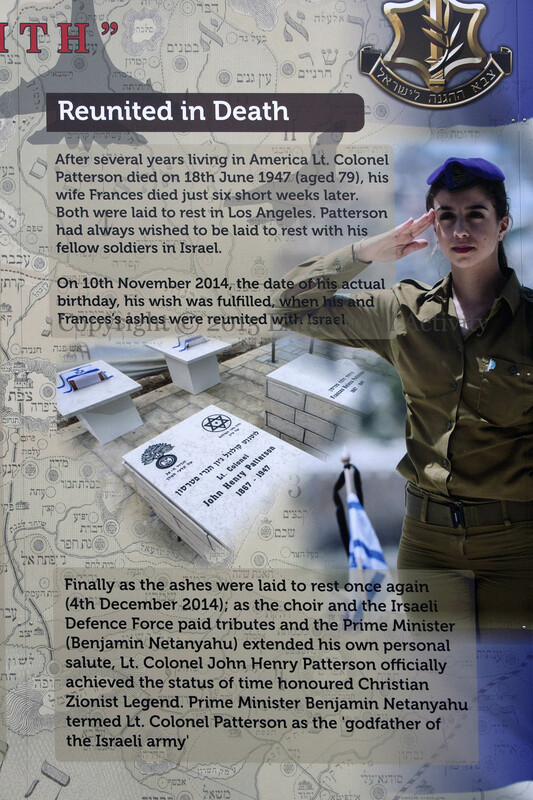 After dying in obscurity in Los Angeles in 1947, his remains were transported to Israel in December 2014 and reinterred (video). For more, including a recording of Patterson’s voice, see this BBC Magazine article. 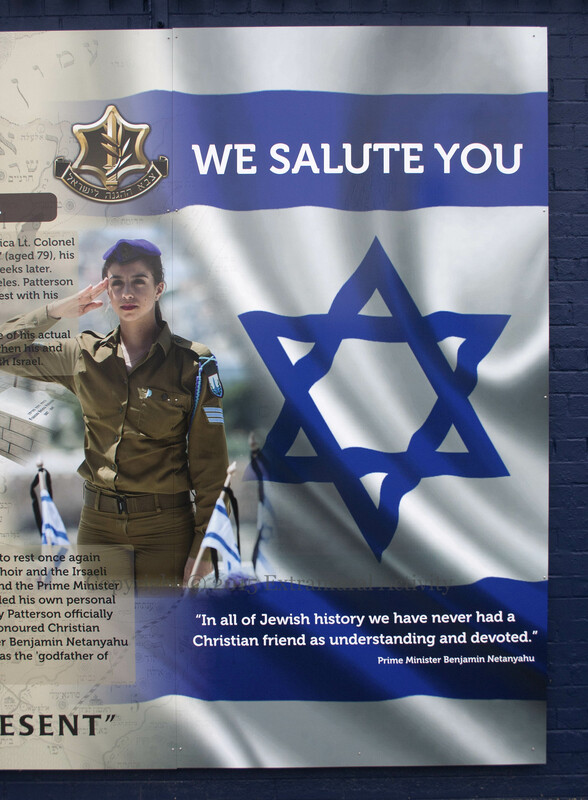 The weirdly one-sided affection for the state of Israel in some unionist circles, especially the more extremist ones, is slightly surreal given the “armed struggle” waged by Jewish guerrillas against the British mandate in Palestine in the 1930s and ‘40s. Not to mention the widespread anti-Semitism amongst unionist politicians and writers at the start of the 20th century, and the links to far right and neo-Nazi groups in Britain amongst loyalist militants from the 1970s to the present day. I suppose the cultish nonsense around the Lost Tribes of Israel partly informs the contemporary obsession. 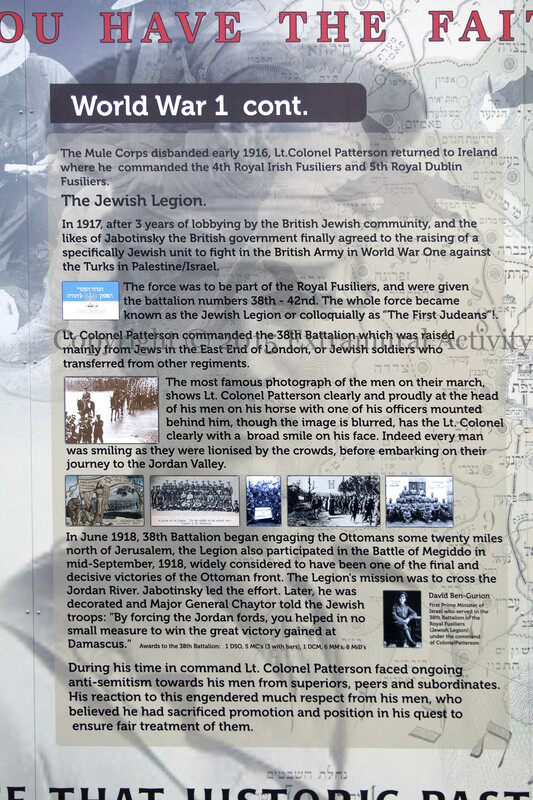 Then again the hostility to Israel in some Irish republican circles puzzles me too given the close links between Fenians and Zionism in the late 1800s, the role of the Jewish-Irish community during the Irish revolution, and the IRA’s training of Irgun guerrillas in the ‘40s. 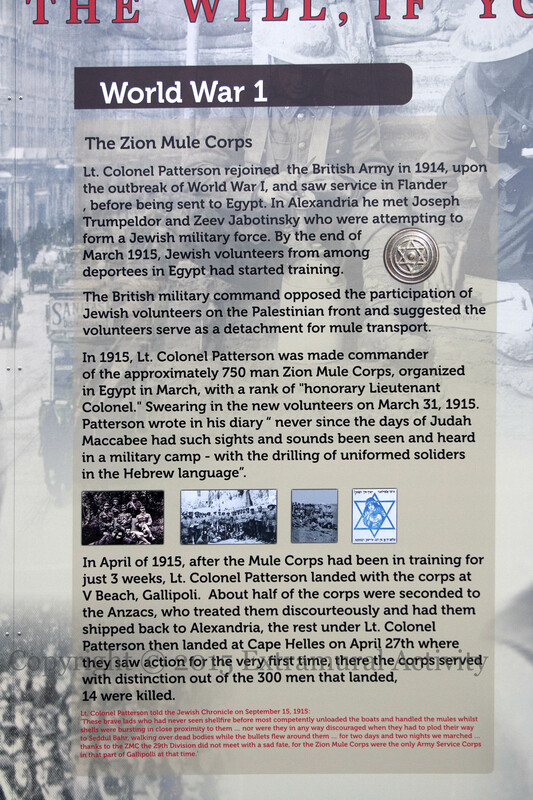 I wonder what the Israelis make of it all? A Jewish friend of mine says they are completely oblivious of the unionist community in the north-east of Ireland, let alone aware of the unreciprocated love affair. ’tis a strange world we live in.